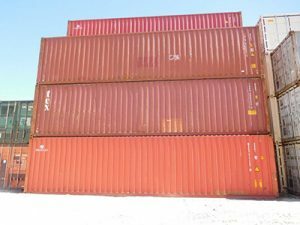 40' 8' 9' 6" 39' 4" 7' 9" 8' 9" 7' 8" 8' 5"
Our largest container for the high cube feature is perfect for industrial jobs that need more room in the vertical. The amount of space here maximizes the utility of the container for the price that it comes at. 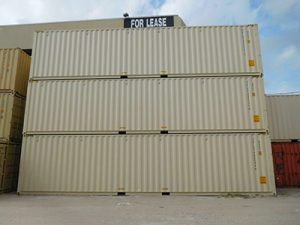 This shipping container is highly functional and sought after. Compare it to the standard 40 foot container here. Contact or call us today for modifications or questions.